Cape Town is in the midst of a severe drought, which means there’s a good chance your favourite swimming pool won’t be open this summer. But the good news is there are several fantastic natural swimming and tidal pools that fill up by virtue of our turbulent ocean. If you’re looking to cool off without the stress that sometimes comes with swimming in the open sea, head to one of these spots instead. Maiden’s Cove, situated between Camps Bay and Clifton, offers a variety of facilities in order for you to enjoy a full day by the water. Aside from the tidal pools, you’ll also find braai (barbecue) and picnic spots, as well as toilet facilities. Many people travel to this idyllic location for a day of family- and friend-focussed activities. 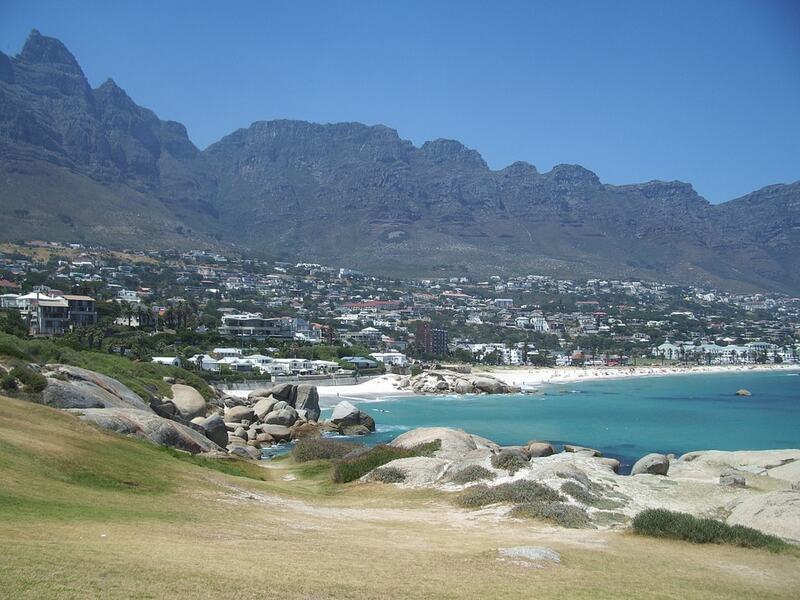 Most people head over to Camps Bay to stretch out on the idyllic beach, which is the most-visited beach in the city. But many people overlook the idyllic tidal pool on the southern side of the beach. The water here might be on the colder side, but the views up towards the Twelve Apostles make it well worth a visit on a hot summer’s day. You’ll find two wild and beautiful tidal pools just off Lighthouse Road in the sleepy town of Kommetjie. These pools are not only idyllically located, but they also have great facilities if you’re looking to make a day of it. You have to pay a small entrance fee, but there are braai (barbecue) and picnic spots, as well as toilets, so it’s well worth it. Dalebrook tidal pool, halfway between Kalk Bay and St James, is a popular tidal pool for families with young children. The water levels are usually low and the water is relatively safe for all ages. Thanks to the warmer ocean currents on this side of the city, the water is usually a bit warmer as well. St James may just be the most popular Cape Town tidal pool. 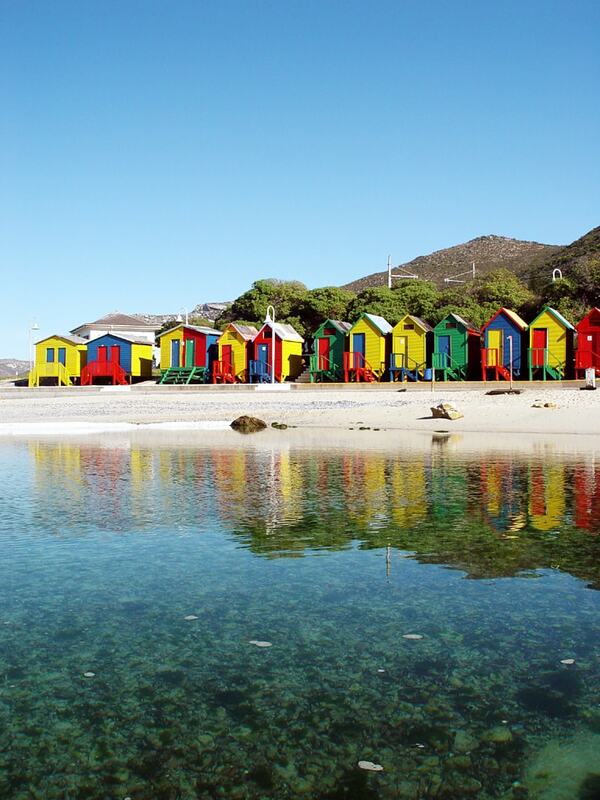 Aside from the iconic multicoloured bathing boxes that regularly feature in Instagram feeds, the waters here are warm, clear and safe. The views across the bay are sublime, and the surrounding suburbs have several dining options if all that swimming builds up an appetite. If St James tidal pool is too busy for your liking, continue south towards the town of Glencairn. There you’ll find the less popular but equally impressive Glencairn tidal pool. Many people who are taking the southern line train ride from the city as part of a day trip choose this as their final destination, owing to the pool’s close proximity to the station. 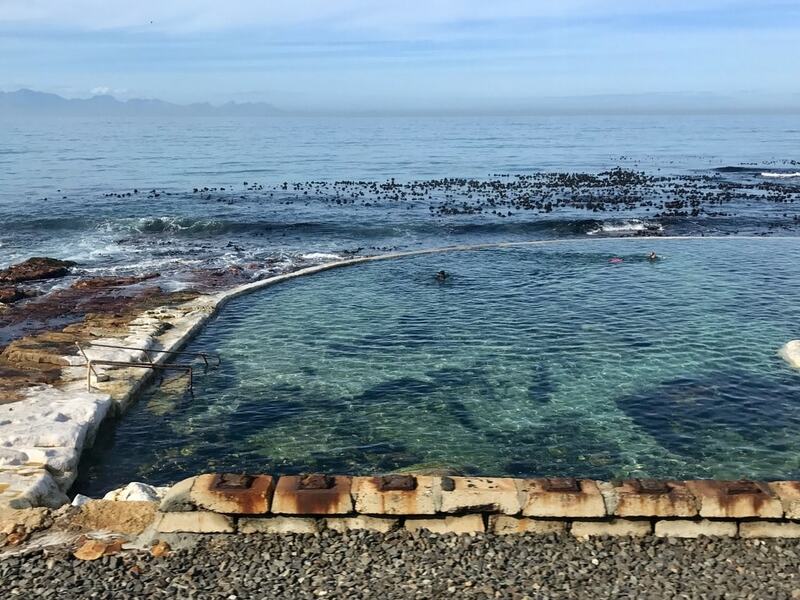 Wooley’s Tidal Pool is another amazing pool located on the False Bay side of the city. There are two pools at this location: one large pool that will allow you to stretch your arms and legs, and another smaller one that is more suitable for the younger paddlers. Cape Point is home to some of the most beautiful and unspoilt tidal pools in the city, thanks to the region’s status as a national park. The pools at Buffels Bay are the focal point for many family excursions, thanks to the relatively safe swimming conditions and braai and picnic facilities nearby. 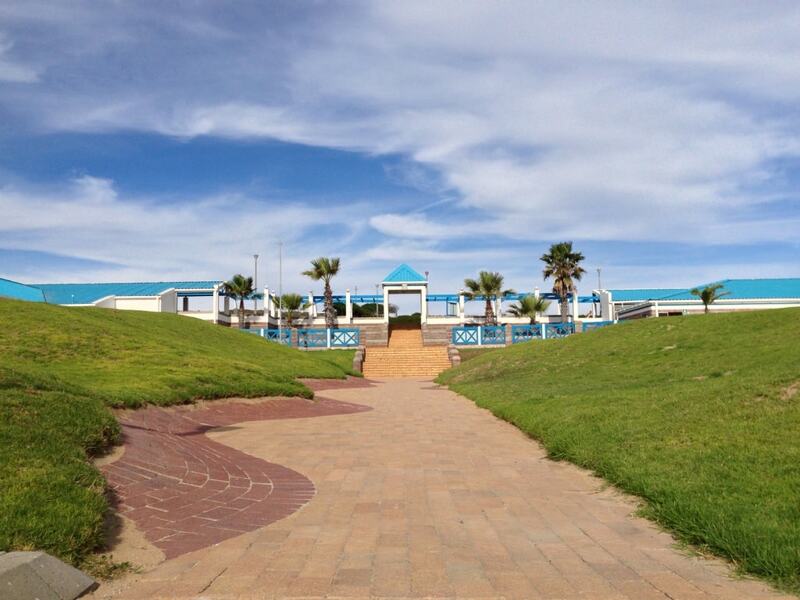 If you’re looking to get a bit further out of town, head up the R27 along the Cape West Coast to Silverstroom resort. There are various facilities, a long stretch of unspoilt coastline and a large tidal pool perfect for cooling off on a hot day. 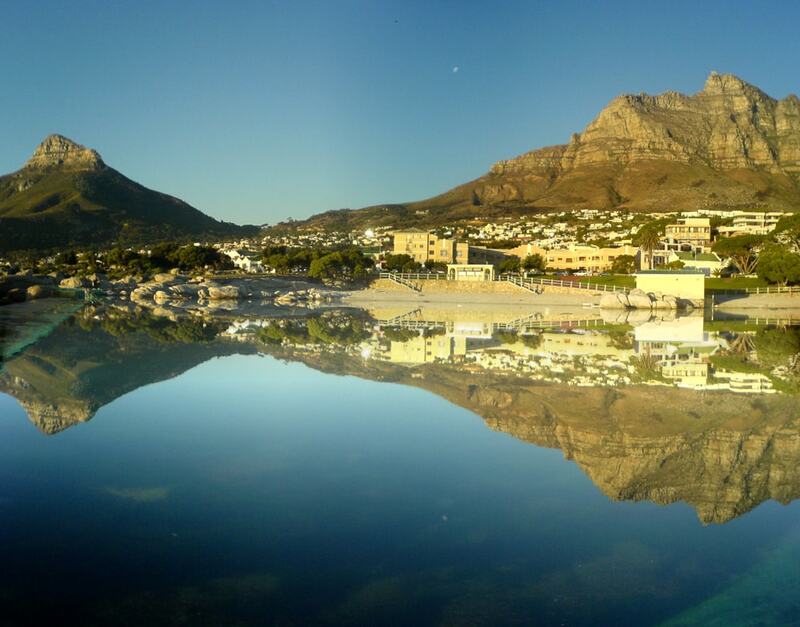 On the other side of the peninsula, past the coastal town of Gordon’s Bay, is the sublime Sparks Tidal Pool. It benefits from the facilities at the adjacent to Spark’s Bay Day Camp, and is one of the largest and exposed tidal pools on the coastline, making for superb swimming conditions. Saunders’ Rock Tidal Pool is a particularly popular spot over summer weekends, so if you’re looking for peace and tranquillity it may not be your best bet; but there’s often a welcoming, festive atmosphere at weekends, and the location between Bantry Bay and Sea Point is pretty hard to beat. Millers Point is a popular launch spot for anglers, kayakers and stand-up paddlers, but many people overlook the beautiful and secluded tidal pool for a more relaxing day out. It’s large and pristine, and located on the way to Cape Point, but requires a bit of a walk to reach the main pool. Once there, however, you’ll be treated to amazing views, beautiful clear waters and a remarkable view across False Bay.